Most of us are familiar with Vitamin D from our milk cartons, the message is that Vitamin D is essential for calcium absorption in our bodies so that our bones can grow when we’re kids and to help us stand strong as adults. This ancient fat-soluble substance is not a vitamin in it’s traditional sense, but a secosteroid ( a steroid with a broken link ). D3, a prohormone that is vital in multiple biological processes including being a potent immune system modulator. Our bodies receive Vitamin D in three different ways, food intake, skin synthesis (transformed into D3, cholecalciferol) in the epidermis with the aid of sunlight and supplements. When sunlight exposure is insufficient, adequate intake of Vitamin D in our diet is crucial. Vitamin D3 still needs to be further metabolized by the liver and the kidneys into it’s most potent form (calcitriol) which mobilizes calcium into our cells. On the cellular level Vitamin D receptors (VDR) are present in our immune system including T cells and macrophages (our natural killer cells). Recent research indicates that Vitamin D and it’s analogs are important regulators of immune activation and antigen presentation. Winter time in NYC doesn’t allow for much sunlight exposure suggesting that supplemental Vitamin D3 intake on a daily basis is a helpful solution. When taking this or any crucial supplement purity is of great concern so that blood levels are optimal and consistent. Thonre Research’s commitment to purity allows us say with confidence that theirs is the purest form of vitamin D on the market. 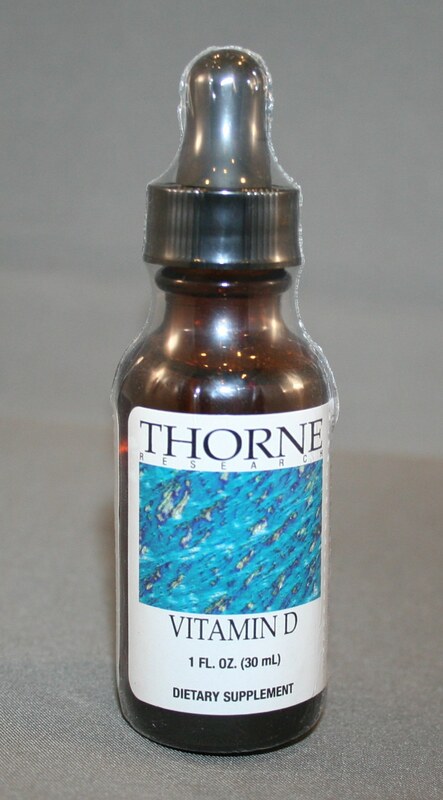 Instead of purchasing prediluted vitamin D, as other companies do, Thorne preforms its own dilution avoiding preservatives and other unfavorable ingredients. Recommended daily adult dosages are related to factors such as body mass, sunlight exposure, diet, health factos and age. The Vitamin D Council is a non-profit organization of medical professionals and concerned citzens whose goal is to educate professionals and the public on vitamin D deficiency and its associated health risks. They suggest testing vitamin D levels and dosing accordingly to achieve blood levels that fall between 50-80ng/ml for adult dosing. FocusSniff…or How I Stayed Alive in Biology.